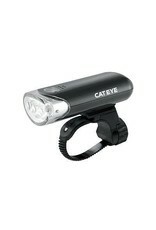 EL130 front light, single LED and OptiCube lens technology, 75 candlepower beam, run time up to 100 hrs. on constant mode and up to 400 hrs. on flashing mode.